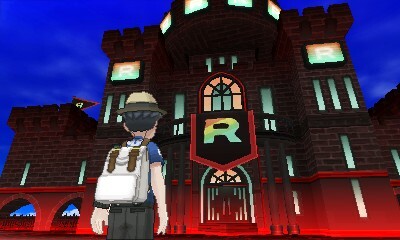 The time has come – Game Freak’s final Pokemon installment for the 3DS family is upon us. 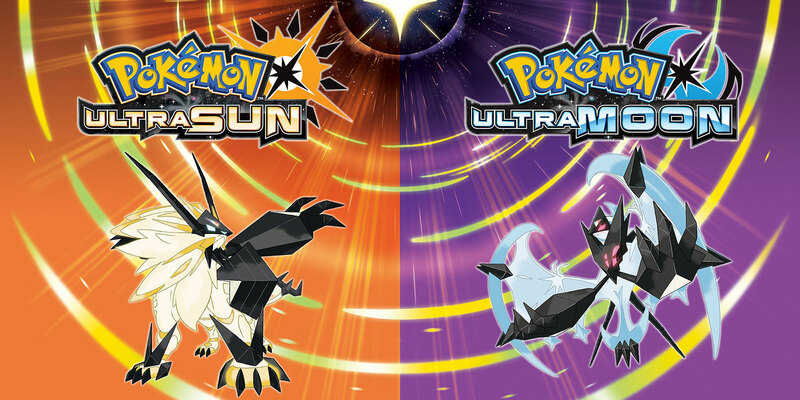 Shigeru Ohmori, Game Freak’s director, considers Ultra Sun and Ultra Moon as the “culmination” of their work on the 3DS family. In an IGN interview, he says the games “push the system to its absolute limits”. Just how spectacular are the limits of a 3DS? How different is it compared to Sun and Moon? How much more content does it actually have from its previous installment? Let’s find out. Sun and Moon released one year ago to much hype, bringing along new Pokemon, Alola forms, Totem Pokemon fights, Z-Crystals, and controversially replacing gyms with trials. It saw great adoption, selling 15.91 million copies and coming in close to Pokemon X/Y (Oct 2013, 16.20 million cumulative) as of end October 2017. Ultra Sun and Ultra Moon improves on the previous installment with minor graphical tweaks all around. For example, some signs and menus are now more refined, and the Festival Plaza’s menu isn’t as plain. The cosmetic changes are pleasing, but not mind blowing and are ultimately subtle. Then again, we don’t play Pokemon for its graphics, do we? 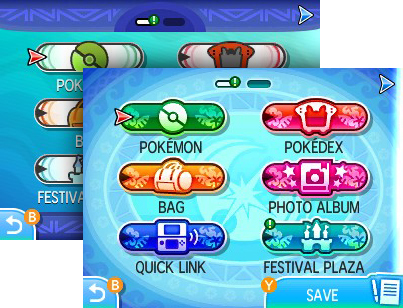 Two new mini-games have been added, Mantine Surfing and exploring Ultra Space. 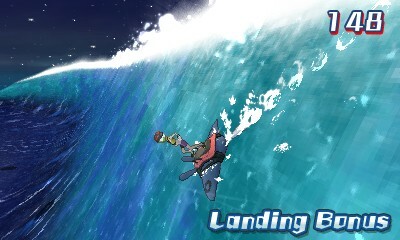 Mantine Surfing has our hero surfing across the waters between the four islands. Tricks can be learned and performed to rack up points. Perform well enough to receive a Surfing Pikachu! Unfortunately, this felt a little slow (I guess the islands are too far apart). 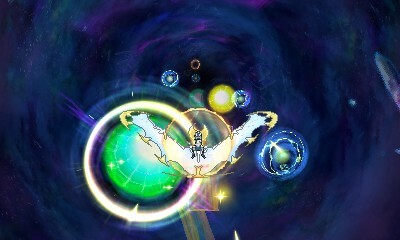 Riding on the back of Solgaleo or Lunala, our hero is also able to access rips in Ultra Space to encounter Ultra Beasts and essentially every past-gen legendary Pokemon – almost reminiscent of Soaring Over Hoenn in Omega Ruby and Alpha Sapphire. A welcome addition that greatly expands things to do in USUM, though it does add some frustration while hunting for said legendary Pokemon! The Alola Photo Club has been opened that allows you to take photos of your character in various poses, against various backdrops and decorations earned throughout game play. 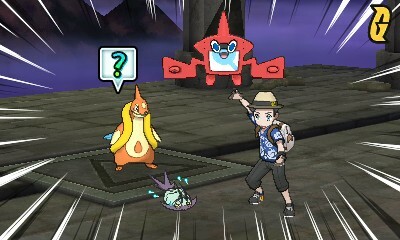 Performing certain tasks earn you new props to use, for example migrating a Pokemon from Diamond/Pearl/Platinum will unlock a Spear Pillar background for use. Just like Pokemon Refresh, taking photos with your Pokemon at the Photo Club raises their affection which in turn can provide an edge during battle like increasing the chance of a critical hit. 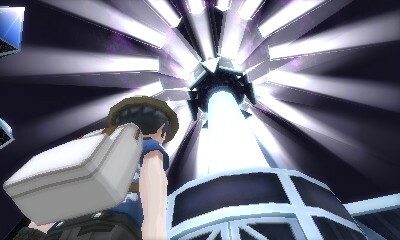 While many wanted the return of the acclaimed Battle Frontier, USUM only adds the Battle Agency – based on the single Battle Factory facility from previous generations. 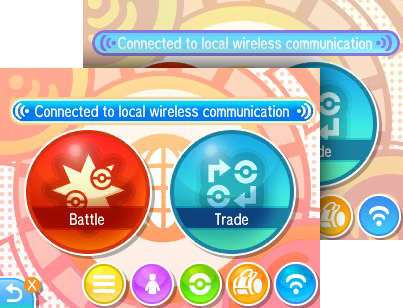 Players don’t use their own Pokemon here, but rent Pokemon for their battles. It’s a major upset that more post-game facilities aren’t present, especially when the Battle Agency is simply recycled from a previous generation. The rest of the Festival Plaza remains relatively unchanged, complete with the asinine, inane user interface that plagued Sun and Moon. USUM adds 5 new Pokemon which is a break from tradition for a release within the same generation. Needless to say, these Pokemon cannot be used in multiplayer interactions with Sun and Moon. Totem Pokemon that could be battled in Sun and Moon can now be received as a gift and used for battles. Ultra Megalopolis is a new major location and plays a pivotal role in the expanded story, albeit a quick one. There feels to be a lot of unused potential here. Game Freak positioned USUM as an alternative story line to Sun and Moon. While true, the majority of the main game is too similar to Sun and Moon. There are many minor changes throughout the plot, leading up to the climax which is drastically different – and much better. Perhaps the largest change is the post-game content with the appearance of Team Rainbow Rocket, together with the bosses of other villainous teams. The Ultra Beasts post-game plot in Sun Moon had been absorbed into the Ultra Space mini game, and the Team Rocket plot takes over. If you’ve been following the Pokemon series and have played the previous generation games, this is truly a nostalgia trip. In the past, USUM would have been considered a “remix” – like Yellow, Crystal, Emerald, or Platinum. It’s not a sequel, like Black/White 2. Therefore, this feels more of an insult to players who have already bought Sun and Moon since it’s almost like buying the same game over again. Having to go through the same, boring introductions is a terrible feel, especially if one has already invested lots of time into the former. They’ve tried to scale back on the needlessly long and awkward cutscenes, but it’s still too many for me. USUM feels like a DLC to Sun and Moon, since majority of changes are post-game. It’s difficult to even consider it an expansion. 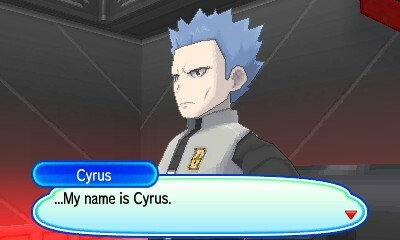 Dialogue with Cyrus (Team Galactic) at the end makes me wish Game Freak had gone with a Sinnoh (Gen 4) remake instead. All in all, this would be an excellent game for people who have not played Sun or Moon yet, or new players. In my opinion, it’s too difficult to justify the (re)purchase that is USUM. This, in fact, is what Sun and Moon should have been. The time has come for USUM – but perhaps, their time had already passed. … Oh who am I kidding, it’s Pokemon and you’re just going to get it anyway. Soup Verdict: Delicious only if you missed the first bowl; too much and you get sick of it. This article was written for NintendoSoup.com.